Divorce is a legal process that terminates a marriage, distributes the marital property and debts and determines the custody of the children, support issues and visitation rights of the parents. Although some divorces are amicable with property division and child custody and other issues readily resolved, others involve protracted battles. Whether your divorce is uncontested or not, retaining a experienced family lawyer with trial and negotiating skills honed from many years of representing clients in all types of family law cases is vital to protecting your rights and achieving a satisfactory resolution. Call the Law Offices of Jason L. Matalas if you are thinking of divorce or a petition has been filed. To petition for a divorce in Massachusetts, at least one party needs to be a resident. The petition is filed in the county of residence. You must wait a minimum of one year after filing before the divorce may be granted, whether the divorce is contested or not. An uncontested divorce is one in which the parties agree on all the issues of property distribution, child custody, support, visitation and alimony. To prevent future issues from arising, it is best for a family lawyer to prepare your documents and advise you on your rights. This is obviously the fastest and least expensive way to dissolve a marriage. If contested, then there is at least one major issue that is in dispute. It could be over items of property, child custody, child support and spousal support or alimony. Your attorney will work with your spouse’s attorney to get you a settlement on terms satisfactory to you, which may require going to mediation or arbitration. Going to trial is always a last resort if no compromise can be reached. Massachusetts has both grounds or fault divorce and no-fault divorce. 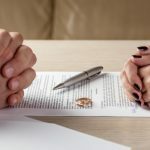 In a no-fault divorce, you merely allege irreconcilable differences or that the divorce has irretrievably broken down without having to prove anything. In a fault divorce, you do have to prove grounds such as adultery, neglect, cruelty or drug or alcohol addiction. There is really no advantage in pursuing a divorce in this manner. 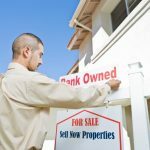 Massachusetts uses the principles of equitable distribution in dividing the marital property, which are assets and property acquired during the marriage. In determining the equitable distribution of property, the court will consider certain factors such as the length of the marriage, income capacity of the parties, health, age and conduct of the parties. A spouse’s contribution to the other spouse’s education or employment advancement or to the value of certain property is also considered. 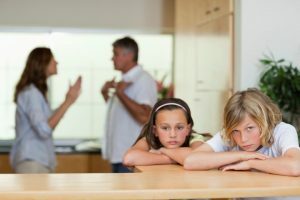 The most contentious issues in a divorce usually concerns who gets primary custody of the children or how legal and physical custody is to be handled. Legal custody concerns how the material issues regarding the child’s education and medical needs are decided. Physical custody is with whom the child will spend most of his or her time with while the other has visitation or parenting time. In all custody cases, the standard is what is in the best interests of the child. Many factors are considered by the court such as the wishes of the child, if old and mature enough, the relationship between child and parent, the child’s mental and physical health, and issues at school and home. It is always best to negotiate a parenting plan regarding custody and visitation and who is to be responsible for certain expenses. All parents are obligated to support their children. This obligation lasts until the child reaches the age of 19 or graduates from high school, whichever is first. Like all states, Massachusetts determines the amount of support from a formula. Courts may deviate from the formula if it is in the child’s best interests, such as if the child has special needs. A court can also order a parent to pay for medical expenses, college tuition and costs, childcare expenses and health insurance. In some cases, one of the parties needs financial support. 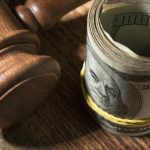 You can agree on an amount and for how long, but if this is disputed, then the court will determine if alimony is warranted. General alimony. This is awarded if a party is financially dependent and is dependent on the duration of the marriage. 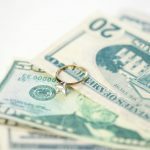 For a marriage of less than 5 years, alimony lasts no longer than one-half of the number of months you were married. It increases according to how long the marriage endured. It terminates or is reduced or suspended if the recipient spouse cohabitates with another person for at least 3 continuous months. Reimbursement alimony. This can be a one-time or periodic payment to compensate the spouse for his or her contributions, whether economic or not, to the other spouse. Rehabilitative alimony. These are payments to a spouse who needs help becoming financially independent. The payments last no more than 5 years. Transitional alimony. Compensation may be awarded to those spouses who need to adjust to single life after a short term marriage. Payments are terminated after 3 years. There are other numerous other issues in a divorce that require the counsel of a family lawyer empathetic to your needs and concerns. Let our office handle your divorce so that you have the best opportunity for a favorable outcome.